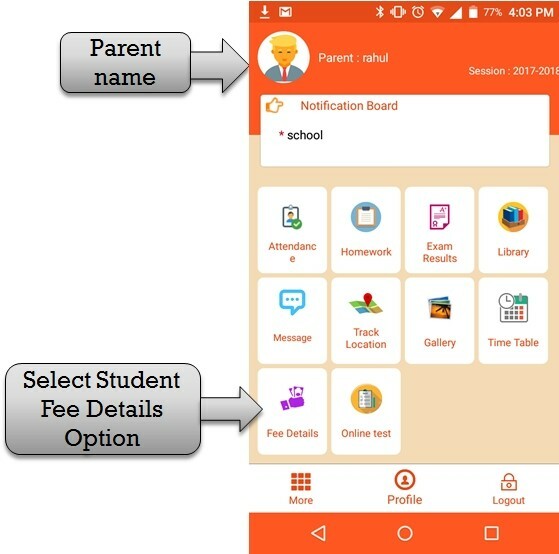 step:1st -ZeroERP School management App Software - You have to select student fee details option then open student due fee list and due amount . Step:2nd -ZeroERP School management App Software- Student check school fee due amount . Select School fee due month then open all due fee amount and fee list . student create fee receipt please click fee receipt button . 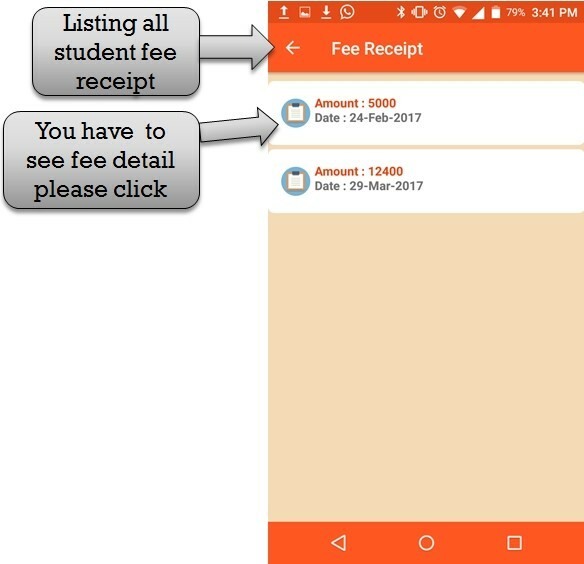 Step:3rd -ZeroERP School management App Software- Listing all student fee receipt . you have to check student fee detail please click any one amount list then open student fee description . 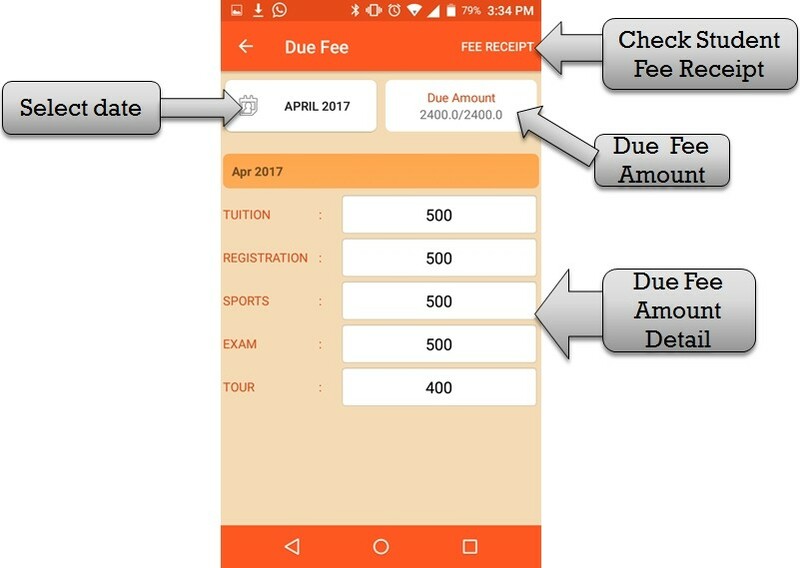 Step:4th -ZeroERP School management App Software- Fee receipt view then check student name , month , fee type and fee amount then check total amount and paid amount .